The CS130 used on the 88 Fiero V6 is an upgrade to the earlier SI units. It's more compact, better designed and better performance. They are a direct fit (mounting ears are 180 degrees apart) and only required a connector change. Get the 88 V6 CS130 alternator - 105 amps (swap your pulley to it if needed). Look for the cars with A/C on them. Also see my Cave, Rabid-Wombat's CS-130 Conversion for 85-87 V6. Older L4 use same parts but need to switch pulleys. Wow that is one beautiful SD4! What is its horsepower rating? 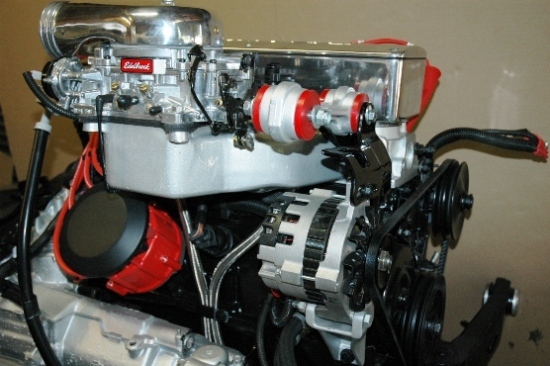 If the 105 amp rating isn't enough power, there's a 220A rebuild kit available. Thanks. We're thinking 250hp. It DOES NOT feel like 4-cylinders when driving. Would there be any problems with this 220 amp upgrade on stock charging system..
Simplist way to answer this without getting into electrical hoohaw. More AMPS will not damage your system. As the Alternator only provides what is needed for the electrical systems load requirements. It is much worse when you dont have enough AMPS then having too much available. Question.... I have the cs130 from the 87-91 Corvette. Any issues with that alternator? Also, do I need to add the heat shield? as long as the mounting ears are in the same position it will....no heat shield needed. I left the cooling tube in mine..